Jamaica's famous bobsled team may not be a favorite on the track in Sochi. We wouldn't count them out at next year's Grammys, though. No kidding, mon. Jamaica's national tourism released a new song In celebration of their country's first Olympic bobsled appearance since 2002 and it's predictably fantastic. Throw in a good 8-bit video and you'll feel so warm you'll think you're on the streets of Sochi, err Kingston. Jamaica's bobsledders will be in action when the two-man begins Sunday at 11:15 a.m. ET. They aren't expected to medal, but seeing them in Sochi will be the culmination of a great story that included the Internet coming together to raise funds for their trip. 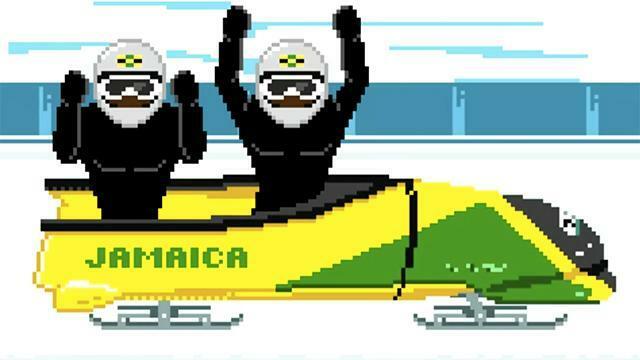 If you can't get enough of this bobsled-themed reggae, check out another Jamaica jam below.